Leaders of the European Union have agreed on an extension to Britain’s March 29 departure from the bloc. EU agrees delay Brexit from 29 March to 22 May on condition that MPs approve PM May’s withdrawal deal next week. The EU said that if Britain’s parliament approves the withdrawal agreement negotiated with the bloc next week, it will delay Brexit until May 22 — ahead of the planned general election for the European Parliament. But the EU said parliamentary rejection of the deal means Britain has until April 12 to indicate a way forward. The bloc urged Britain to come up with substantive measures by that day. British Prime Minister Theresa May and European Union leaders have agreed to delay Britain’s departure from the EU until at least April 12 in order to give Ms. May more time to win approval for her withdrawal agreement in Parliament. Britain was scheduled to leave the EU on March 29 and Ms. May had been trying for months to get members of Parliament to approve a withdrawal agreement she struck with the EU last fall. But the deal has been rejected twice by MPs, leaving Ms. May scrambling to try once more to get it approved. This week she asked the EU to agree to delay Brexit until June 30. After a lengthy meeting on Thursday in Brussels, EU leaders agreed unanimously to extend the Brexit deadline to May 22, but only if Ms. May can get the deal approved next week. 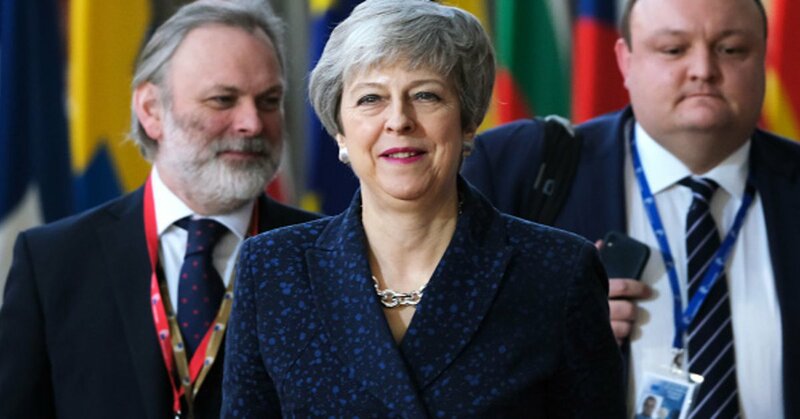 If it’s defeated for a third time, Brexit would be delayed to April 12 and Ms. May will “have to indicate a way forward before this date for consideration by [EU leaders],” the leaders said in a statement. The elections to the European Parliament begin on May 23 and Britain has to notify the EU if it plans to participate in that vote by April 12. “If [Britain] has not decided to do so by then, the option of a long extension will automatically become impossible,” Mr. Tusk said. EU officials said that even if the Brexit deal is voted down, the EU could still extend Brexit beyond April 12 if Ms. May presented a new plan.